Studies into healthy child development continues to record the positive impact that preschool education has on the development of children intellectually and socially. The developmental benefits are not just academic. Preschool education has been shown to impact nearly every area of a child’s life, learning and development, even many years into the future. And the benefits are seen across the socioeconomic spectrum. The benefits of preschool education programs for children from low income families are especially remarkable, leading to the creation of a number of state and federal programs designed to increase the enrollment of low income children in preschool. So you might be wondering about some of the details. Keep reading for an introduction to some of the benefits of preschool education programs on child development. 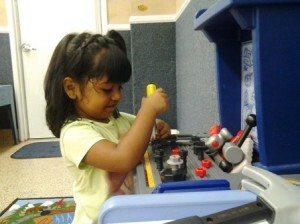 The academic benefits of preschool programs have been well studied and documented. 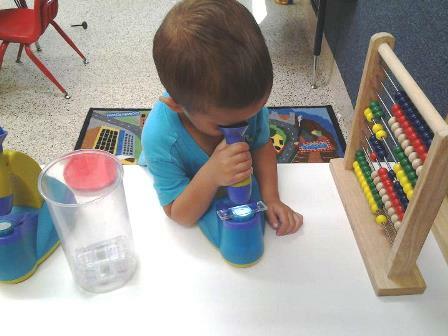 According to a report on the effectiveness of New Mexico’s pre-K initiative released by the National Institute for Early Education Research, four year old participants showed increases in math, early language and literacy skills. It should be noted that preschool is first and foremost a bridge between unstructured and structured learning. From birth to preschool age, your child has been learning a ton about the world and developing verbal and large and fine motor skills. These skills are generally acquired naturally during the course of normal family socialization. But just because they appear to be easy developments doesn’t meant that they are. In fact, the first years of life are some of the most rigorous and rapid periods of intellectual and emotional growth human beings ever undergo. By the time they are ready to start preschool, children are already well adapted learners. The role of preschool is to guide learning in a more structured way and to ensure that age appropriate social skills are developed and reinforced. At Watch Me Grow Las North Vegas, we a re committed to providing your child with the quality preschool education they deserve. With a record of excellence and NECPA accreditation, you can be sure that your child is getting the best at Watch Me Grow. Come check out our programs and contact us today! We look forward to hearing from you!